Patterns, prints, and artists' designs add billowy coziness to any window frame. Pull your room together, while adding some privacy, with a selection from our window coverings. Choose from a variety of sizes and fabrics â€" from woven curtains to sheer billowy drapes. Our sheers also can double as ceiling covers to give a room gentle, light softening ambience. Finish your custom window treatment with a unique valance in a contrasting or complementing design. 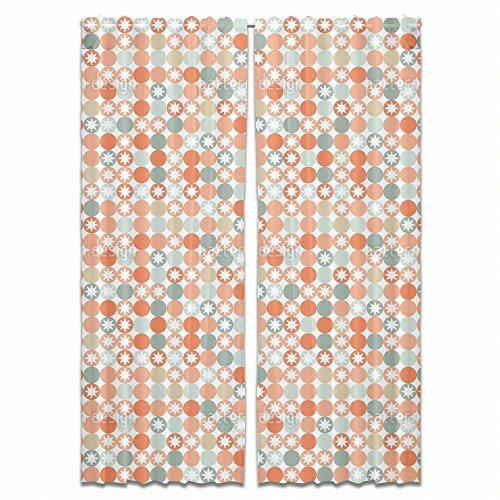 Patterns, prints, and artistsâ€TM designs add billowy coziness to any window frame. Design By Markovka, patterndesigns.com Little stars fill this geometric dot design.